This volume accompanied the major 2009 Hirshhorn Museum retrospective of Anne Truitt's work, mounted five years after the artist's death in 2004. The exhibition was the first comprehensive survey of Truitt's work since her 1973-74 retrospectives at the Whitney Museum of American Art, New York, and the Corcoran Gallery of Art, Washington, DC. 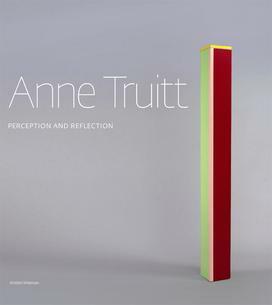 This book provides important new documentation and analysis of Truitt's life and work, and features color plates of her sculpture, drawing, paintings, and complex late works. It is a significant contribution to Truitt scholarship as well as our understanding of American abstraction after 1960. 176 pages. 150 color plates, 12 b/w images.